Join the 2017 Indie Design Gift-Along! Holy Moly! Only six weeks to Christmas?!? Are you as surprised and hopelessly unprepared as I am (like… every year anew)?? Then it’s about time to join our huge Indie Design Gift-A-Long on Ravelry! From the 21st of November it’s ON! Since the 2016 edition was so much fun we’ll do it all again this year 🙂 Get ready now and fire up your stash as this year will be HOT! Like last year’s Gift-Along (GAL) (and the 4 before), this year will give you: a rather extensive list of independent designers, 6 weeks of KAL/CALs, tons of patterns at 25% discount and crazy many prizes to win! We will help you kick your holiday gift-making into high gear! The Indie Design Gift-A-Long is a 6 week long KAL/CAL of holiday gifts made from patterns designed by a rather extensive list of independent designers. From November 21, 2017 at 8:00 pm US EST to November 28th at 11:59pm US EST tons of indie designers will be discounting between 5 – 20 of their patterns 25% for this event. There are eight KAL/CALs to participate in, prizes of all sorts given out, games, and generally a lot of fun! Which patterns can I make? All patterns (both paid and free) from the all participating designers listed in te group are eligible to make in the KAL/CALs. All paid patterns (not free) from those designers are eligible to win prizes. Each of those participating designers will put between 5 and 20 of their patterns into the GAL sale which is for the first 8 days of the event, and gives 25% off this selection of patterns. But it is not only these sale patterns that are eligible for the KAL/CALs and for prizes. You can look through the Participating Designers Thread link coming soon! 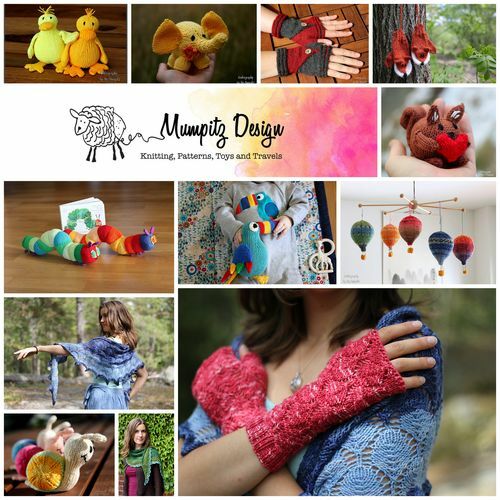 or we have a page listing all the participating designers in the Ravelry group. All the participating designers have posted in a seperate thread showing a photo so that you can get a sense of their style, if you aren’t already familiar with them. When you click through the link to their designer page you will see all the patterns that are eligible to make in the GAL, and a bundle of the patterns that they are discounting in the sale. In addition, some of our industrious indie design elves have put together group bundles that allow you to use Ravelry’s advanced search function on the included designs. It’s easy peasy! Just put the patterns you want into your Ravelry shopping cart, enter and apply the code giftalong2017 between November 21, 2017 at 8:00 pm US EST to November 28th at 11:59pm US EST, and 25% will be automatically taken off the total price. Then join one of the KAL/CAL threads and away you go. Prizes? Did you say Prizes? Prizes – we’ve got them! Thousands in fact, so there are lots of chances to win one (or more than one!). 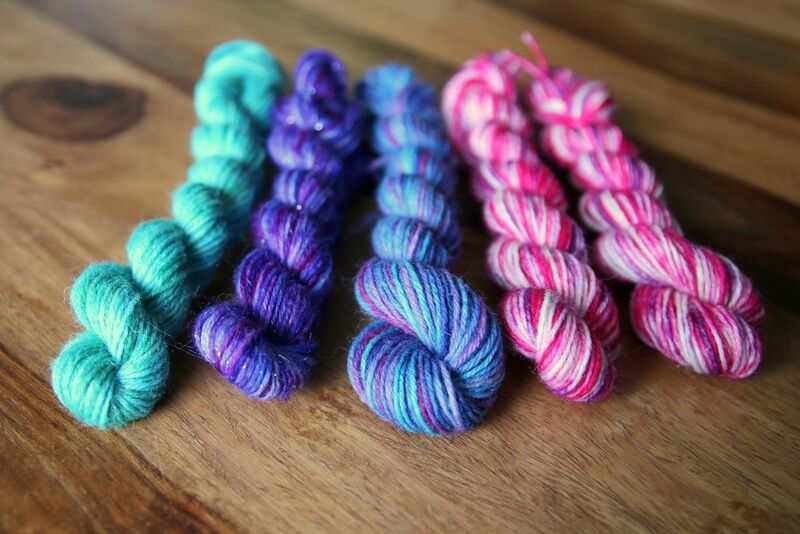 There are patterns, yarn, kits, stitch markers, and all sorts of wonderful surprises. Prizes will be given out at different times and places, but the two big physical prize giveaways will take place at the half way point and the end point, with winners randomly chosen from The Official FO thread, so be sure and post photos of your FOs there – one FO per post, please! More FOs = more posts = more chances to win! Over 2000 pdf pattern prizes will be given out in the games that run through the entire GAL and in several places randomly – the KAL/CAL threads and the Chat thread and even in the Chat Room, so the more you hang out with us here the better chance you have of winning prizes. If you want more info, please join our group on Ravelry! PS: And for all of you who need quick gifts, I offer FREE WORLDWIDE SHIPPING on all orders from SEK450 / USD50 / EUR45 in my Etsy shop until the end of the year only! Winter is here, time to KNIT! 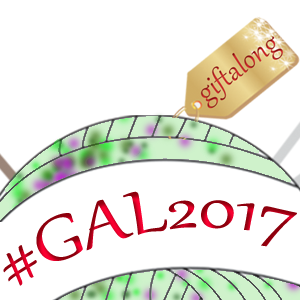 I´m a participant designer of GAL 2017 too! and also a new follower of your lovely blog! Thank you and see you at the Gift-A-Long 2017 on Ravelry!! !